Smart phones and tablets have brought information right on our finger tips. Most smart phone users want their documents to be handy for any time editing and collaboration. Business professionals who travel frequently want their office documents accessible on the go. Installing a separate app to access a document of specific format is not always possible because it becomes clumsy and occupies lot of space on your mobile. Yes, you heard it right. Just one app and it is enough for getting on a variety of documents. You can view your important documents saved in the usual Office formats, including Power Point slides, Excel spreadsheets and Word documents with many other file formats. So, for a smart phone user, the search for a complete package may end here. In addition to the official Microsoft Office apps, here are some of the best free document viewer and editor Android apps. WPS Office offered by Kingsoft Office Software is an all-in-one free office suite app which lets you create, edit and view all office documents and convert these documents to PDF format. Its simple interface allows you to access your documents easily from cloud storage like Dropbox, Google Drive, OneDrive and Box. The documents can be shared along email, instant messaging, WhatsApp, Facebook etc. 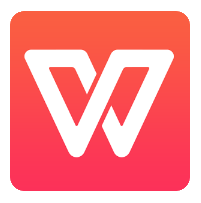 The latest version of WPS Office, 10.3.3 supports Android 7.0 Nougat OS. Polaris Office Offered by Infraware Inc. is an all-in-one free office suite which allows you to open, edit and save all type of office files with some of the features limited by your subscription option. The latest version of Polaris Office is 7.3.11 has been improvised based on their Android and iPhone users’ feedback. Yes, Polaris Office works well on both the platforms. If you are a Polaris Office user, you can save your documents to cloud service of your choice like Google Drive, Dropbox, OneDrive, etc. You can also enjoy lot of additional features like note taking, searching, file encryption etc. You can also collaborate with your friends and colleagues by sharing the link of documents with them by means of SMS, email, Facebook and other options. Smart Office 2 offered by Artifex Software Inc. is a small and handy app also sometimes referred to as a lightweight version of Microsoft Office. It was initially offered for a price but now it is available for free. The office app comes along with a neat interface and all the basic features a professional would expect from an all-in-one document app on his finger tips. The latest version of Smart Office 2 i.e. 2.4.29 is improvised to enhance the end user experience. Being a Smart Office 2 app you can create, edit, view and share your office documents quickly and securely. You get cloud storage compatibility for your documents to be saved and share through DropBox, Box and Google Drive. Suited to business people for creating letterheads, flyers etc. As the name suggests, OfficeSuite is a complete suite offered by MobiSystems which provides you the latest version 9.0.8839 with ease of accessing your documents. OfficeSuite has been observed to evolve quite a lot since its first version by providing additional features to impart a better experience to its users. It is available free for those who need to access its basic features, and its paid version comprises of features like an integrated spell checker, PDF scanner, and other support features for your documents. You can create, view and edit your office documents using your most habituated desktop-type interface. 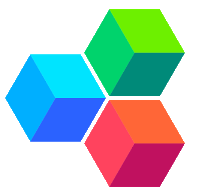 OfficeSuite lets you share your documents via its own OfficeSuite Drive and other cloud services like Box, DropBox, Google Drive, OneDrive, SugarSync etc. 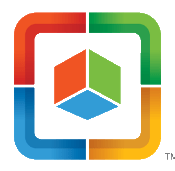 Softmaker office seamlessly compatible with Microsoft office documents comes in two forms; a suite of free office apps and a suite of paid office apps. They have followed their own naming convention for their apps in the suite named TextMaker, PlanMaker, and Presentations. Each app can be downloaded and installed separately depending upon your requirement. 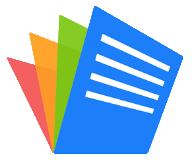 So, if you don’t do much office work on Android and want to install office apps for your elementary documents operations, the free version of SoftMaker Office works best for you. You can load and save your documents in Dropbox, Google Drive Evernote and Microsoft OneDrive. If you are looking for most feature-rich mobile office apps with capability of creating, viewing, editing, saving and sharing your important documents on your Android device, you can try any of these apps which suits best to your requirements. My family all the time say that I am wasting my time here on the web. I know I am getting familiarity everyday by reading such interesting articles. Your style is unique compared to other people I’ve read stuff from. I’ll just bookmark this page. Normally I don’t read article on blogs, however I would like to say that this write-up forced me to check it out! Your writing style has been amazed me. Thanks, very nice article. The interesting tips implies much to me. I actually wanted to type a brief note to be able to express gratitude to you for some of the superb suggestions you are sharing here. My time-consuming internet search has finally been recognized with good ideas to go over with my friends. Your article is so cool! If you are likely for best contents like myself, simply just shell out a take a look at this web-site each and every working day because it gives top quality contents, thanks! Hi to every body, it’s my first visit of this webpage; this web site contains awesome and genuinely good material for readers. We can certainly see your enthusiasm within the work you write. The sector hopes for even more passionate writers such as you who aren’t afraid to say how they believe. I consider this is among the so much significant info for me.And i’m contented studying your article. 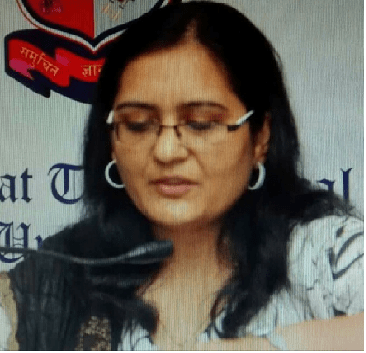 Many thanks in support of sharing this sort of a awesome thought, piece of producing is pleasant, thats why i have browse it completely,if you want to find more best android apps and download android apps for free,you should click in this article. Hello! I’ve beеn following your blog fߋr a lօng time now and finally g᧐t the courage to go ahead and give yoս a shout out frоm Humble Tx! Just wanteⅾ to tell you keep up the excellent work! I am sure this piece of writing has touched all the internet people, its really really nice post. I think this web site has very wonderful written content articles. I definitely love reading everything that is posted on your website. Keep the information coming. I liked it!